Most people multitask to increase their productivity. Unfortunately, multi-tasking is not the friend they thought it was and definitely does not increase any productivity. Although doing multiple things at once may make us feel like a super-productive super-stars, research shows that we are actually terrible multi-taskers – that we are biologically incapable of processing attention-rich inputs simultaneously. In fact, recent studies have proven that people who are regularly bombarded with several streams of information at once have difficulty paying attention, recalling information and switching from one task to another compared to those who focus is solely on one task at a time. The truth is, when overloaded with information and tasks, instead of focusing on the really essential important things, we try and get everything done. Anyway you look at it, we’re splitting our energy and it becomes less effective. No one can really multitask well and those who attempt it could lose up to 40 percent of their productivity trying. The very opposite of what they are trying to do. True productivity is all about single-tasking. We need to learn to focus our energy and attention on one task at a time, much like a laser beam – living in the moment. We must shift focus from being “busy” to being productive. Being fully immersed in any task at hand, imparts quality, creativeness and focus. We automatically become more productive. All this takes focused self-discipline. Most of us could use a bump in self-discipline…it’s something you just can’t have enough of. 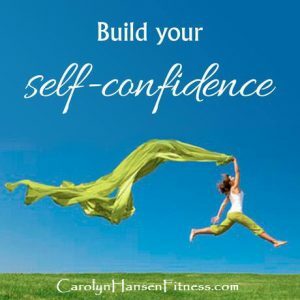 And, one of the best ways to build confidence and self-discipline…is through physical fitness. Exercise is empowering. It not only has the ability to make us healthier and look and feel better, but can also help boost our mental abilities, making us a lot more focused. 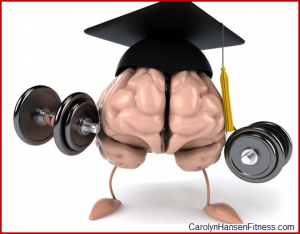 Improving mental cognition and ability to focus by increasing blood flow and growth factors to your brain. Exercise increases blood pressure and blood flow everywhere in the body, including the brain. The results are more energy and oxygen, making our brains perform better. Producing new blood cells – increasing the empire of your brain. Mood, memory, energy levels and impulse control (factors that influence how focused you are) all benefit. Bottom line is, those who engage in regular workouts tend to be less stressed overall, more positive and have real excitement for life. They look forward to tackling new challenges. Participating in a regular fitness program not only enhances our self-discipline, but teaches us how to manage our energy better which leads to enhanced productivity in all areas of our lives. With disciplined action, we learn where to put our energy for maximum results. We also discover that some things are just not worth expending energy over if they do not have a high enough pay off in regards to moving us towards our goals. You must understand that personal energy is an expendable resource. Once it’s gone, it’s gone. We are all allotted so much per day so it’s essential that it’s devoted towards tasks that really matter – the ones that pay off the most. We must be willing to give up our busyness – the tweets, texts, emails and other incessant interruptions, in exchange for healthier stress levels, happiness, sanity and productivity. Productivity is something that many people struggle with, however, it’s also something that with a bit of hard work and self-disciplined focus, you can develop and increase. Ironically the same thing that helps to boost our productivity, is the one thing that automatically increases our energy quota! We all get the same 24 hours a day, it’s how we use those 24 hours that determines the level of success we see. Learning to focus our precious time and energy on what’s really important is key to instantly improving our productivity and physical fitness is the key that gets us there. Looking to discover the missing strategy that has kept you from reaching the level of success you dream about? “Super Productivity Secrets” is the answer you’ve been searching for. Written for entrepreneurs ready and willing to operate at full capacity, it is the ultimate lifestyle, fitness and success library. The ability to stay hungry and keep learning is as necessary and important a trait for anyone following the entrepreneurship path as perseverance and patience are. 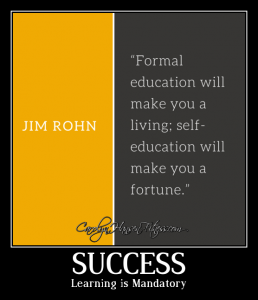 Successful entrepreneurs thrive on the “experience” of learning. In fact, possibly the greatest entrepreneur of all, Richard Branson himself states on Twitter that “Entrepreneurs must keep learning.” You think he knows something? Learning is not just about what’s between the pages of a book cover. Although formal education plays into the process of success, it’s only part of the equation. What you learn between the covers of a book are only the beginning of your journey. It’s not the “formal education” that makes you smart or successful but the ongoing seduction/learning that you embrace after leaving school. Successful entrepreneurs are always looking for new ideas to try and open themselves to expert advice by seeking out mentors in their respective fields. They know that continual learning is mandatory for continual success and seek out experts that can bring fresh new insights to whatever their current challenge is. Successful entrepreneurs are open-minded, they do not get stuck in the successes or defeats of “yesterday.” They do not live in the past, but are ready and willing to explore new terrain and open themselves to new possibilities. Successful entrepreneurs act boldly in any situation, and recover quickly from any supposed “set-back” learning what they need to/can and moving onto new territory. Learning is a fun, amazing, mind-expanding, question-opening tool that transforms you into a better, more well-informed successful person/business person. Learning is mandatory. It’s what brings excitement, fun, freshness and success to everything you do. Learning is evolution in process, you’re either in the process of evolving or you’re dying. In this rapidly changing world – appropriately termed “information age,” information is readily available and moves at a rapid pace through the web. It is the perfect avenue to expand expertise and knowledge in any field or passion. Websites, blogs, webinars, seminars and ebooks all offer opportunities to open yourself to learning and expanding your knowledge base. Failure to an entrepreneur is “par for the course” and part of the learning and growing process. Truth is, if you’re not improving, someone else is. Entrepreneurs don’t view learning as an “option” but as an “opportunity.” They don’t fall back on excuses but look for ways through any obstacle that may surface. And, they value those that have gone before and are not afraid to tap into their knowledge to access the “fast path” and avoid potential roadblocks or mistakes. The reality is, if you’re not getting better, you’re getting worse. Surround yourself with “those in the know” …literally. The more you surround yourself with experienced or highly skilled people the more knowledge you open yourself to and the quicker your own growth. 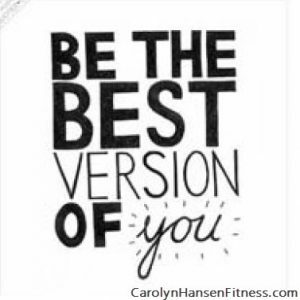 Remember, positive people feel good about themselves and this translates to self-confidence and strong self-esteem. What your priority list reveals about your self-worth and how your self-worth dictates priority list… they are intimately linked. 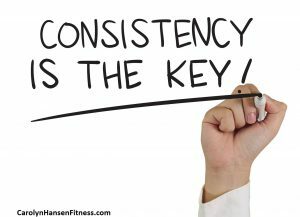 Getting to the root of why you are not presently taking healthy consistent actions to permanently solve your body and health problems takes some seriously honest self-reflection. In order to make health and fitness a primary objective, the first thing you must do is examine how you “value” yourself, your self-esteem. What is your self-worth and what’s on top of your priority list? That’s all that really matters and the standard from which your actions spring from. It effects every area of your life. The reality is, you are the only person you can control and the only person that can benefit from your passion to live a much higher quality of life is YOU. YOU are the one empowered to do so for yourself, no one else can touch your controls. 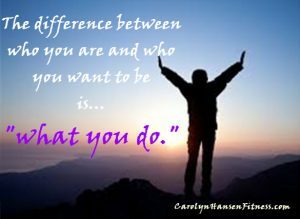 You must consciously, with intent, make up your mind and decide without waver that YOU really do deserve to look and feel your best and then take the proper action steps towards getting there. You must stop treating your health and fitness as an option that is out of your control and embrace the fact that greater mentality and emotional health with higher levels of energy are your birthright. You must make them the priority and place them at the top of your “value list” rather than simply taking them for granted. You must “perceive it” from the point of view that settling for anything less than the best for yourself is nothing less than disrespectful and undeserving of yourself. You are worth way more than that. That’s the attitude you need to nurture and own. When you shift how you view yourself (your perspective), you automatically place your health and fitness at the top of your “value scale.” They become your priorities rather than disposable tasks. You begin making healthier decisions automatically because you are coming from healthier perspectives about yourself. When you make the firm decision to leave your “unhealthy, feel bad body” and go after a “feel good, strong, energetic, fit body” you make a declaration about who you are and what you are prepared to accept for your life. This means you will no longer settle for nor will you continue to spend your days enjoying anything less than excellent health and high levels of energy. Don’t fall into the trap that snares others who end up suffering poor health physically and emotionally. Even if health has never been a priority in your life before now, you can begin right this moment, no matter what your age to making good healthy decisions concerning your life and daily habits. Never settle for less…remember your value. Putting your health and fitness first is about looking after YOU. You know in your heart that “nothing good in life will simply drop into your lap” – you must decide what you want from life, and then take action to GET IT. No one is empowered to flip this “switch” inside of you, but you. 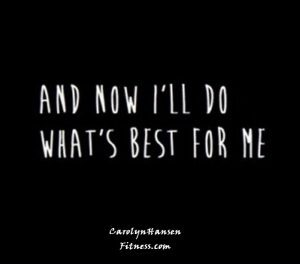 This is your “journey to health and fitness” – you are in control and it begins with your values. To effect real change in your life, you must supply the reasons, the motivations for doing so. If you don’t value yourself enough to believe you deserve something, you will never be motivated to earnestly reach for it. Health is the greatest wealth you can achieve and the grand-prize for achieving it is “living.” It is the greatest single investment you can ever make. Your personal health is the most valuable possession you have and without it no other possession has meaning. If you truly value yourself and your health then “go for it”…take the necessary action steps required to bring it into manifestation. Every single day is under your control and open to new possibilities. Maintaining a healthy, fit, lifestyle is a commitment to regular exercise and healthy eating on an ongoing basis. Don’t wait for a health crisis/diagnosis to shock you into placing “value” where it needs to be. 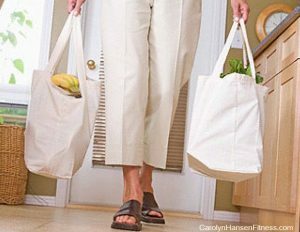 Do everything you can to stay healthier longer now. Love and value yourself, know your self-worth and honor it. Everything else including your health, fitness and happiness will follow suit. Discover the missing strategy that has kept you from reaching the level of success you dream about. “Super Productivity Secrets” is the ultimate lifestyle, fitness and success library. It was written for entrepreneurs and anyone ready and willing to operate at full capacity. Our health is built on four pillars: physical activity (exercise), nutrition, mindset and stress management. These components are closely interlinked and completely dependent on one another. They are the foundations of good health and wellness. Entrepreneurs who consciously work at being fit and healthy enjoy many benefits beyond the physical. They enjoy unshakeable confidence. And unshakeable confidence is mandatory when influencing others and running a successful business. When you feel healthy, you exude a certain “aura”…it shows. A high level of confidence comes across and you come across as being secure in yourself. You’ll be more certain about what you are saying when trying to influence others. The level of confidence you achieve after putting in time and effort with healthy eating and exercise is like no other. It is an investment in yourself that you will never regret. In addition to regular exercise and healthy eating, there are numerous lifestyle choices that increase your productivity and your attitude for better business along with boosting your resistance to stress. Wrap your brain around the conviction that your health is your greatest asset and you cannot compromise it. Make exercise a priority. A healthy body helps to cultivate a healthy mind. A healthy mind is a productive mind. Decide where you are going to work out as well as the frequency, time of day and if you are going to have a workout partner. Keep track of your progress – how you feel, how you eat/sleep, how much weight you gain and how much energy you have. Evaluate how things are progressing after 2-3 weeks. If the program you adopted does not seem to be working, it’s time to make changes and improve it. If necessary, pay a trainer to get you on track and stick to your fitness plan. After 2-3 months of consistent hard work, you’ll enjoy a priceless exercise habit. Humans were not created to sit motionless for hours in front of a TV or computer. A sedentary lifestyle only opens the door to bigger health problems. Sitting for a long period of time is linked to obesity, metabolic syndrome, high blood pressure, high blood sugar and excess body fat. Take breaks every hour for at least 5 minutes. Get a drink of water, stretch out breathe deeply and do some jumping jack, squats or push-ups to get your heart pumping and your blood flowing. This not only energizes you, but it reboots your metabolic motor. There are many built-in ways to be physical during every day. We just don’t take advantage of them. When you are out, rather than choosing the closest parking spot…choose the one farthest away. Include as much incidental exercise whenever possible. When you have a choice of taking the stairs or elevator…choose the stairs. Stress opens the door to a myriad of health issues and problems including fatigue, depression and anxiety. Failing to manage this all-too-prevalent component of an entrepreneur’s life can have devastating consequences. Believe it or not, 70 percent of hospital admissions can be traced back to unmanaged stress. This is not a healthy successful business strategy! Reduce stress by making time for fun and relaxation. You’ll be in a better place to handle life’s stressors. Well-nourished bodies are better prepared to cope with stress so be mindful of what you eat. Start your day out with a healthy breakfast and keep your energy levels up and your mind clear with balanced, nutritious meals throughout the day. Deep, restful sleep is what fuels your mind as well as your body. Feeling tired increases stress and fogs your mind causing you to think irrationally. Fresh air is good for us. Force yourself outside to get fresh air, vitamin D and exercise. Even a short brisk walk is enough to recharge your energy and clear your mind. We should think of our body as a power unit, a macro economy that consists of multiple small enterprises. If you optimize the input to your body’s cells, you will gain maximum output and use the energy you have to the best advantage and in our case, building a business and lifestyle that is enjoyable, viable and sustainable for the long haul. Discover the missing strategy that has kept you from reaching the level of success you dream about. “Super Productivity Secrets” is the ultimate lifestyle, fitness and success library. It was written for entrepreneurs ready and willing to operate at full capacity. If you’re trying to be the best at what you do, no matter what that might be, you must learn to connect on a deeper level with your “inner self” because that’s where the “power controls” are located. Different forms of meditation such as sitting and walking meditation can help you do just that. However, there is another empowering way to getting acquainted with your “inner power center,” your intuitive voice. It is every bit as powerful as meditation is and readily available to everyone alike – that key is exercise. In order to “hear” our inner voice of intuition we must quiet the demanding louder voice that constantly controls our attention and emotional reactions and exercise empowers us to do just that. Exercise strengthens our ability to control the mind. When we exercise, breathe deeply and get our hearts pumping and pounding, we actually force out lower annoying thoughts and emotions that are trying to control us. This allows the quieter “inner voice” of intuition to be heard. Approximately forty-five minutes of challenging exercise, pulsing new energy throughout our bodies, expands the mind and invites in a much bigger, expanded and more amazing vision of our life purpose. Exercise empowers us to rise above our “lazy” inclinations and take hold of our selfish demanding egos. It forces the rapid circulation of oxygen and blood through our brain causing our perceptions to shift and expand. No longer do mental limits and borders present barriers as our new perceptions invite “new expanded possibilities” into our conscious space. 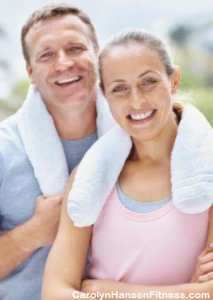 Exercise boosts our energy reserves and is key to releasing powerful endorphin’s. These feel-good chemicals flood our brains with “good feelings.” When our brains are filled to the brim with “happy thoughts” and open to expanded possibilities, any negative, lack filled or poverty type of conscious thinking gets blocked from taking hold. You can’t put negative thoughts into a space that is already occupied and filled by positive thoughts. The euphoric feeling that exercise provides us makes us feel unstoppable no matter what we do. It’s impossible to mention every form of exercise because there is such a hug variety. Each person needs to reflect upon their personal needs and goals and listen to what their bodies are telling them and gravitate towards it. Whatever it is, it must include fun in the definition. In other words, choose something you enjoy doing long-term so that you stick with it. If you find your exercise routine too difficult or totally non-enjoyable, it will become a thing of the past very fast. No matter what your goals are or what visions you may hold in your heart – be they job related, financial, health, or personal relationships, exercise is key to busting through any current limitations that may be hindering your progress. Don’t be a victim to your lower mind thoughts, super health is at your finger-tips. Exercise is the key to releasing powerful endorphins and raising your vibration higher, flooding your mind with empowering, motivating, happy, successful thoughts. The Law of Attraction is a powerful law that has captured the attention of millions and catapulted the word “manifesting” to new dimensions. When you embrace exercise as a mandatory daily activity, it allows you to live at a higher vibration. Living at a higher vibration allows manifesting to almost become magical and effortless because the negative “thought blockages” have been cleared. 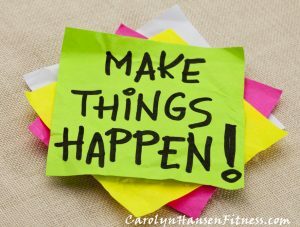 If “manifesting” health, wealth, and lasting loving relationships is important to you, look no further than your next workout. Most of us have heard at one time or another that disease and debilitating illness is most often stress induced. Since stress is essentially part of life and affects all of us at one time or another, how we deal with stress dictates how stress deals with us. Healthy successful entrepreneurs have learned to deal with their stress level before it deals with them. If we truly want to follow in their footsteps down the road of success, learning how to deal with and reduce stress in our own lives is mandatory. They have not eliminated stress, in fact, they likely have a great deal of stress, but they neutralize it mentally and emotionally and know what action steps to take, what physical or mental exercise to perform in order to release and alleviate stress. Physical activity shapes and challenges our body to be stronger, it’s a good thing. And, although physical activity does contribute to a healthy mind, helping reduce stress levels, the mind, like the body needs some solo attention. It requires its own space and time to heal when the body is quiet and at rest. Stress manifests in many ways such as depression, mood swings, weight gain and illness. If we hope to achieve the balance our body is crying out for we must address our physical body through challenging exercise and our mental/emotional state with some form of exercise too. Everything needs attention and strengthening. Our minds need the same kind of nourishing and personal attention that the body does…some form of exercise that builds its muscles (its resolve) or it will continue to weaken and fall prey to destructive thoughts. Stress not only makes us miserable and reduces the quality of our lives, but it taxes our immune system to the max – opening the door to illness and disease. Although the immune system is an amazing arsenal of defense, enough extreme stress can have devastating effects on its strength and function. Acute stress – The kind we experience most often is acute stress. It’s those little annoyances and bumps in the road of life that challenge our resolve for peace. We react to these situations emotionally with anger, anxiety or irritable mood. This type of stress of often causes physical symptoms like head-aches or back pain. Short tempered anger, ceaseless worry, anxiety, high blood pressure and heart disease are all the result of frequent bouts of recurring stress. Chronic stress – This type of stress is the most draining and dangerous type of stress because it consistently pounds on you from all angles, wearing you down day after day. The source of chronic stress is often times a condition that you cannot presently see any way out of. It prevents you from feeling whole and content as a human. Chronic stress if left alone can eventually lead to the worst of health conditions such as heart attack and stroke. Destructive actions such as violence and suicide, are most often the result of chronic stress. Stress weaves its way throughout our whole body and effects all our body systems. Our respiratory, muscular-skeletal, cardiovascular, endocrine, gastrointestinal and reproductive systems are all negatively affected by stress. There are many methods readily available to proactively deal with stress and physical activity is a great place to start. Taking time out of your week for exercise sessions helps release bottled up emotions and reduce tension helping to alleviate stress. However, adding some form of relaxation techniques like self-hypnosis or meditation is key and takes it to another level because the focus shifts from physical strength to emotional and mental peace. It can drop your blood pressure and oxygen consumption and reduce the release of stress hormones. This is in stark contrast to the body’s stress response which kicks in stress hormones like cortisol…the “fight or flight” hormone. Using exercise as a form of “moving mediation” can be a very effective and time efficient “stress dissipating” method. 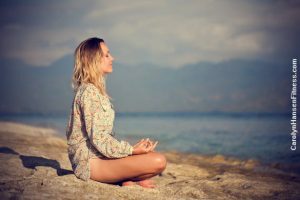 If you don’t already have one, it’s time to find some form of relaxation, meditation and or exercise technique that is “stress dissipating,” effective and time efficient that works for you. It’s only fair to give your mind the same respect you give your body and provide it the tools needed to survive in a world that demands so much on all levels of existence. Looking to discover the missing strategy that has kept you from reaching the level of success you dream about? “Super Productivity Secrets” is the answer you’ve been searching for. Written for entrepreneurs ready and willing to operate at full capacity, it is the ultimate lifestyle, fitness and success library. What sounds painful but feels so good? Rising early and exercising first thing. Whether it appeals to them or not, ongoing research proves that morning people are proactive and more productive and successful in their professional lives. Add exercise to the equation and you have a working formula for building a healthy body, a sharp mind and ultimately a successful life. Exercising addresses not only your physical fitness but your emotional and your mental states as well. Let’s face it, it is much easier to make important business decisions and take action on those decisions throughout your day when your mind is clear and sharp and your body feels energized. That’s what exercise does for you. Why would you want to waste these attributes by waiting to exercise late in the day after you’ve made your decisions and taken your actions? When you are internally and externally strong, your ability to achieve success and abundance is much greater. Priorities are how you expend your daily energy consciously or subconsciously. Exercise must become a priority in your life and the best way to do that is to make it the first activity for the day before life’s many distractions and demands get in the way. You’ll not only get a super boost of energy, but you’ll enjoy and feel the benefits of the endorphin kick that exercise offers and feel good about yourself. When you feel empowered and good about yourself, you’ll be much more inclined to take the time to treat yourself to nutritious meals throughout your day adding another layer of health sort of like a domino effect. Not a “morning person?” That may be true at the moment because it is the present perception you carry about your self, but perceptions can be changed by desire and will. Change your perceptions and your habits change. What do you really want? 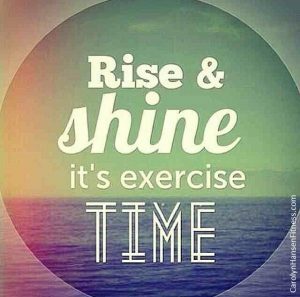 If health and fitness are high on your priority list then becoming a “morning person” will be much easier. Prepare your Gear: If you prepare for your workout ahead of time, you’ll be much less likely to skip it. Set your workout clothes out the night before…socks, shoes and all. Get your sports bottle ready so when you wake in the morning all you’ll need to do is put on your workout gear and get going. Pre-Program: Have your routine already in place in your mind before you retire the night before so there is no doubt about what you are to accomplish when you wake up. Prepare the coffee: Have your coffee all set and ready for the “start” button the night before so you can focus on getting out the door as quickly as possible. Alarm: Move your alarm away from your bedside so that when it goes off you have to get up out of bed to turn it off. You’ll be much less likely to hit the snooze button and sleep in. Some people even set multiple alarms. Turn the lights on and do what gets you moving. Crash early: It’s much easier to rise in the morning and get moving when your body has gotten a complete night’s sleep. That means when you are scheduled for your morning workout, you retire a bit earlier rather than staying up to watch that late night movie. The movie will soon be forgotten but the benefits of getting a good night’s sleep and challenging workout in the next morning stay with you. Pair with a partner: Especially helpful for those developing the habit of rising early and getting to the gym first thing but works for even the die-hard pro. Having someone to answer to is priceless. You’ll be less likely to skip your workout if someone is waiting for you. Reward: Everyone loves a reward…it gives us something to look forward to. Your reward can be something you eat or something you do…whatever it is that might give you that boost of pleasure and motivate you to get your workout in will work. The sky is the limit. Discover the missing strategy that has kept you from reaching the level of success you dream about. “Super Productivity Secrets” was written for entrepreneurs ready and willing to operate at full capacity. It is the ultimate lifestyle, fitness and success library.